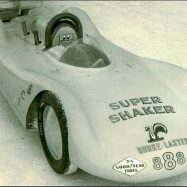 “The Super Shaker was typical of Burke’s creations: a lightweight, purpose-built, no-frills appliance designed to accomplish its mission of outright speed with maximum efficiency and a touch of flair. 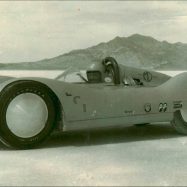 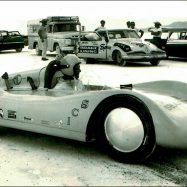 The chassis was a ladder-type design with two main longitudinal hoops of 2-inch tubular steel and 1-inch outrigger braces to mount the body and floor pan and support ancillaries such as oil and fuel tanks and a hand-operated tire pump—like those typically used in Midget racing—that was adapted to maintain fuel pressure. 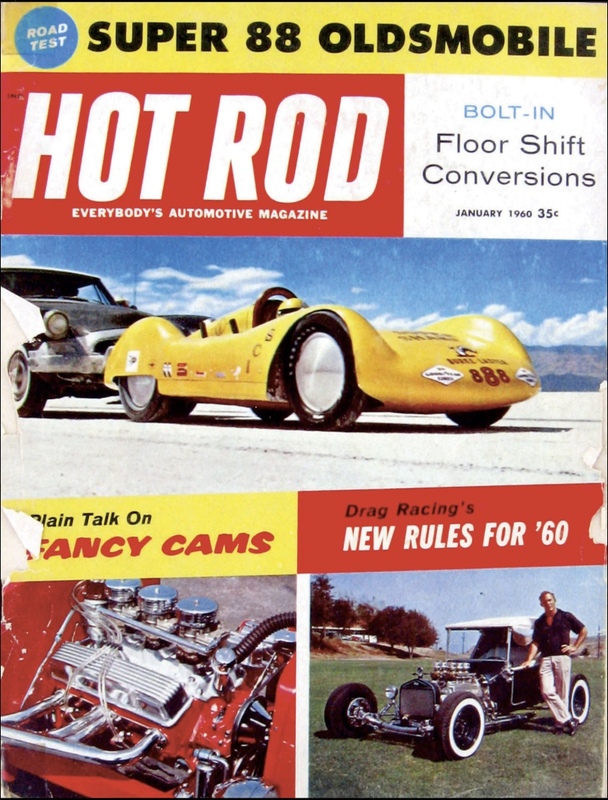 Front suspension was standard Ford Anglia with split wishbones, a transverse leaf spring and center-link steering; a Harley-Davidson Servicar rear axle assembly with open differential and mechanical brakes was bolted directly to the frame and chain-driven by a stock Harley-Davidson transmission using only second and top gears. 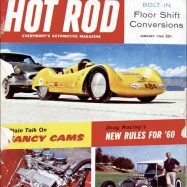 Originally displacing 61 CI, the Clausen-built Harley-Davidson Knucklehead V-twin engine was bored and stroked and fitted with a modified cam and heads reworked to maximize flow from two specially tuned Riley racing carburetors. 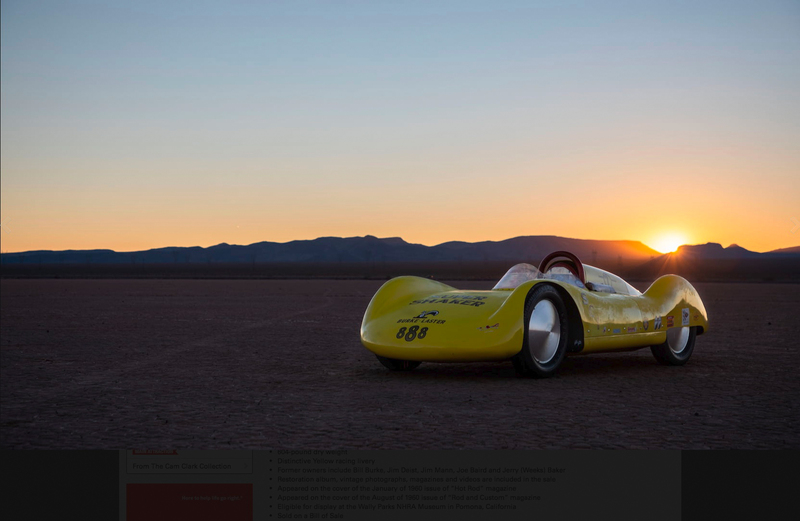 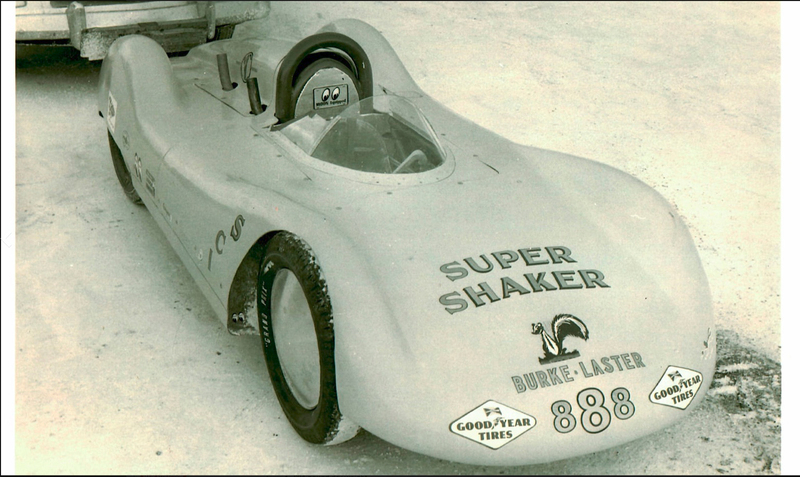 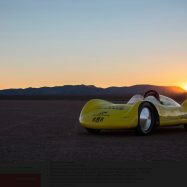 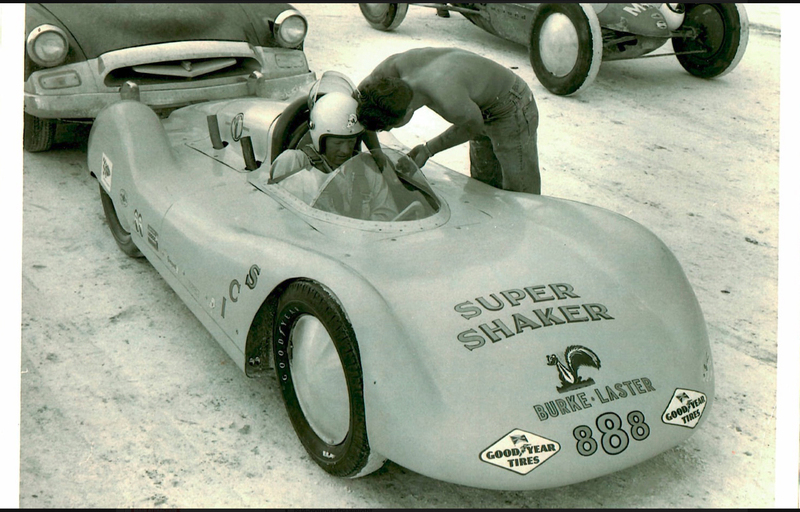 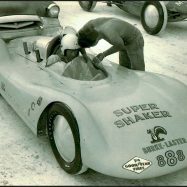 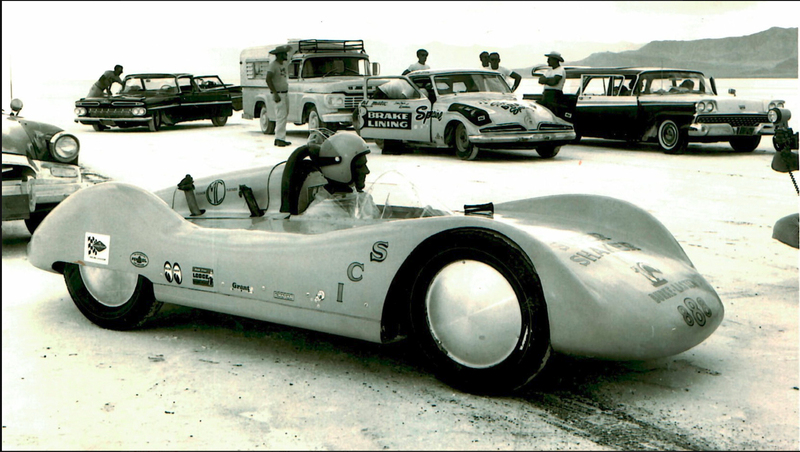 Topping it all off was the car’s distinctive yellow livery featuring Burke’s number 888 and “Super Shaker” logo. 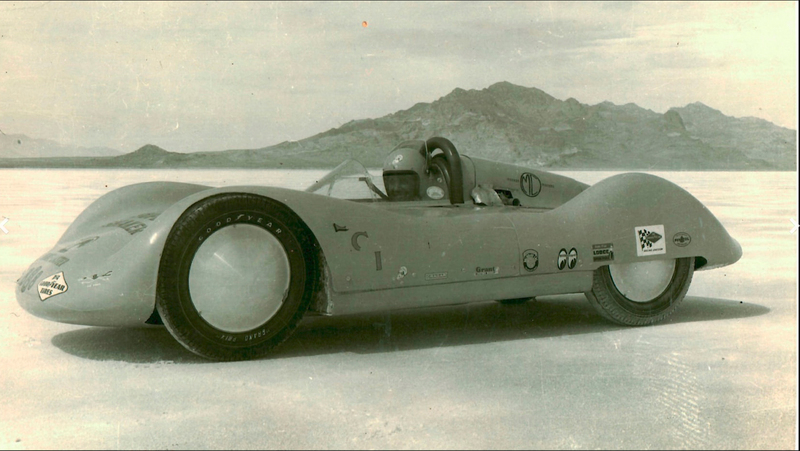 More at Mecum’s page here.